I present my pen refill adapter, for use in pens that take the Lamy M66 rollerball refill. 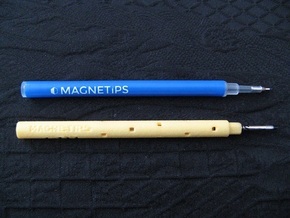 It allows such pens to use the Uni UMR-87 refills instead (not included), which are found in the: Uni Signo RT UMN-105S, Signo RT UMN-207 and Signo Premier rollerball pens. 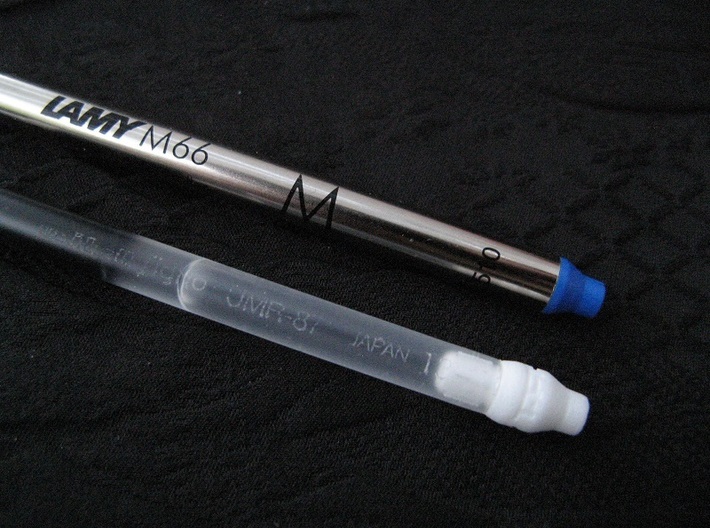 The Lamy M66 refill is around 110mm long and 6.8mm in diameter. 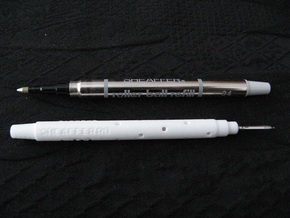 The Uni UMR-87 refill is around 111mm long and 6.1mm in diameter. 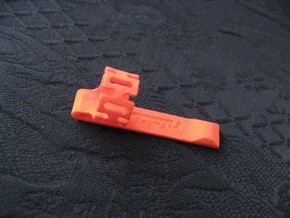 For this adapter to work, the UMR-87 refill will need to cut down to exactly 100mm long. 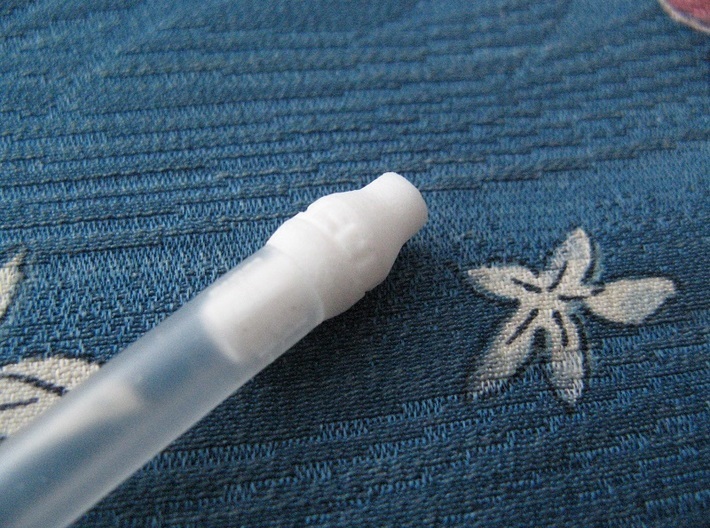 This is best done with a sharp craft knife. 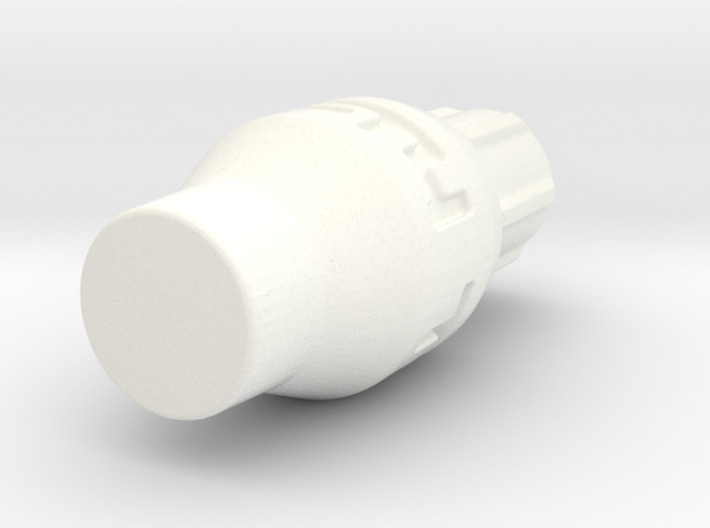 The adapter is press fitted into the end of the Uni refill, giving the same length and tail shape as the Lamy M66 refill. 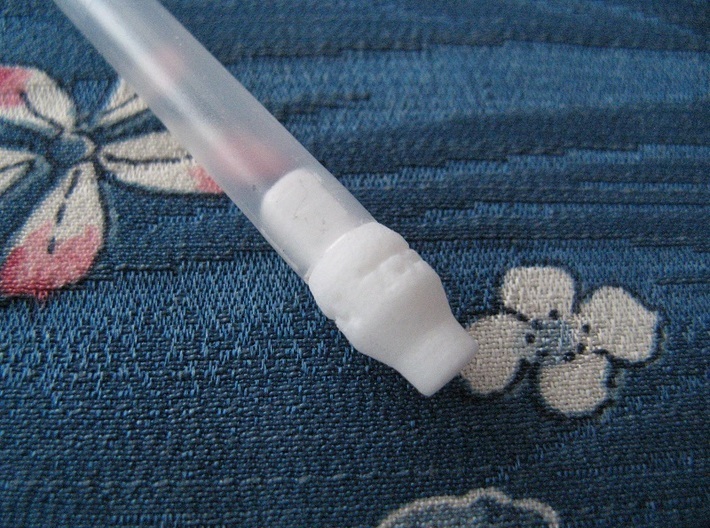 The level of ink fill and the amount of the clear gel behind the ink in the Uni UMR-87 refills can vary somewhat, so sometimes the adapter may make contact with the gel. 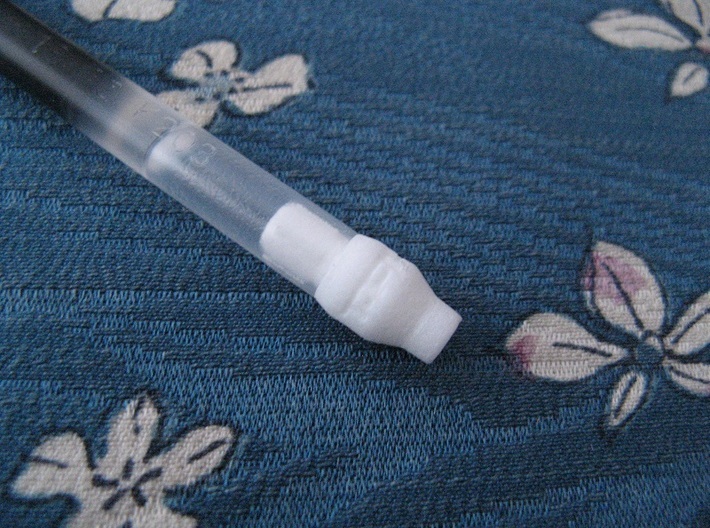 To prevent this, a few minutes scriddling with the refill should use up enough of the ink to create enough space for the adapter.